Hyperbolic suicide comments aside, it brings up an interesting irony that I have been noticing for a while. That is, most (if not all) of the most bearish economic forecasters describe themselves as optimists in their day to day lives. I consider myself extremely optimistic, but my views on the economy are dire at best. The fact that we optimists are so pessimistic about the economy should cause you to take notice and ask if maybe there is something to all this gloom and doom after all. That may seem like a paradox. If you listen to the financial news, those of us who have been predicting that the economy is on the verge of collapse are “doom and gloomers” who are just negative people. When we say that the Greek debt crisis can’t be resolved with more bailouts and that default is inevitable, they call us defeatists. When we point out that America’s economy is as bad or worse than the problems in Europe and that the only solutions to get us out of this mess are currently politically impossible, they say we have no faith in America. In fact, nothing could be further from the truth. We economic gloom and doomers are simply realists who understand the nature of the crisis. We’re also optimists who are trying to minimize the damage and help people avoid calamity. If we weren’t optimists, we wouldn’t spend our time shouting into the wind, hoping against hope that the general population will heed our warnings, or that we can influence the political landscape by inserting reality into the picture. So who are the optimists and who are the defeatists? Let’s do a thought experiment. 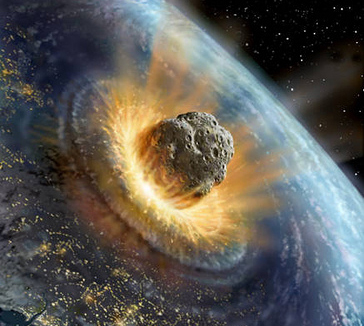 Is the astronomer a pessimist because his thinks New York will be hit by a comet? I would suggest that he’s an impartial analyst who’s tools provide a more accurate way of looking at the universe than astrology does. Is it pessimistic for someone to want to look at the scientist’s negative data, even when all off the forecasters on the news agree he’s a lone quack? I would say that’s just being inquisitive, an optimistic trait. Is it then pessimistic to observe that his experiments are based in science, and to question the majority who say astrology holds the answers? I would suggest that is simply making a judgement based on evidence as opposed to popular opinion. Is it pessimistic or anti-New York for that person to say to his fellow New Yorkers, “Hey, I’ve seen the data and there’s a good chance that the growing black spot in the sky is a comet that will hit right here. We should all move some of our assets out of the city now and be prepared to flee entirely if it gets darker.”? I’d say that’s just being prudent. Is it optimistic to sit tight and say, “It’s probably not a comet, but even if it is, someone will save us. Perhaps the government will reverse gravity just in time to turn the comet around.” No, that’s just foolish. The pessimists are the ones who bury their heads in the sand when things get tough, or even know there is something seriously wrong, but give up because they think there’s nothing they can do. This entry was posted in Economy and tagged Doom, free market, Mark Faber, optimism, pessimism, realism. Bookmark the permalink.